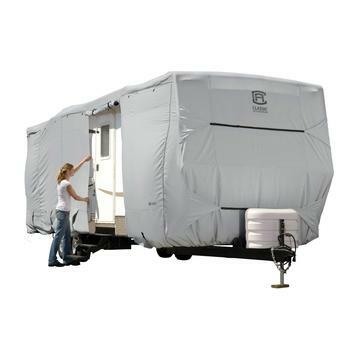 Discount on all ADCO, Carver, & Classic RV Covers. 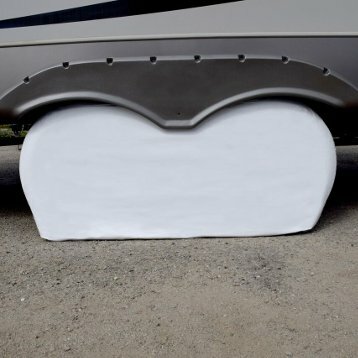 Measure your RV from bumper to bumper. You may need to include ladders and spare tires, depending on the brand of cover you choose — refer to the brand’s specific instructions. You typically don’t need to include hitches and propane tanks in your measurements. 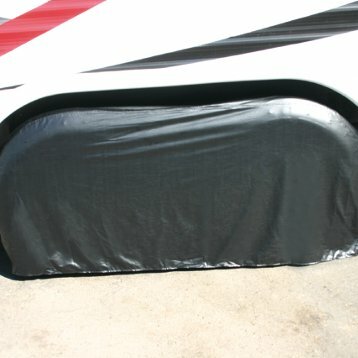 If your RV is even slightly longer than a cover’s listed length, we recommend ordering the next larger size. Next, measure from side to side, not including awnings, mirrors, or other protruding items. Again, if the width of your RV is even slightly wider than a cover’s listed width, we recommend ordering the next larger size. Adco is a fourth generation family-owned business, established in 1955, with extensive experience making practical, reliable RV covers. Available in two materials: Designer Tyvek and SFS Aquashed. Dupont Tyvek Plus Wind is ideal for all weather climates, especially areas with high UV exposure and wind. SFS AquaShed Designer Series is best for climates with intense moisture and moderate sun, including all northern states and Canada. Reduces premature aging of your RV and helps maintain resale value. 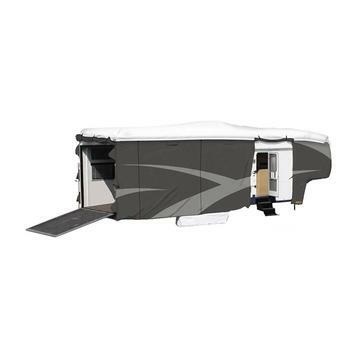 Keeps roof clean and reduces black streaks from forming on sides of RV. Reduces the need for washing, waxing, and roof treatments. Protection against harmful UV rays that cause cracking and fading. Protection against snow, ice, bird droppings, dust, and debris. Vents allow air to escape the cover in moderate winds. Includes a free storage bag and straps. All covers come with a 3 or 2 year warranty. Carver covers are made in the USA and boast extremely high quality construction, designed for even the harshest environments. Made from an extremely strong true loom woven marine grade polyester proven to withstand harsh environments. Tear resistant, breathable, mildew resistant. Marine-grade anti-wick thread and zippers, double-stitched construction, 4-ply join seams. Includes a free storage bag and heavy duty tie down straps. All covers come with a 5 year warranty. Classic Accessories has been manufacturing high-quality covers and accessories since 1983 with a focus on innovation and convenience. Protects against harmful UV rays that cause cracking and fading. Protects against snow, ice, bird droppings, dust, and debris. Available in three types of materials: PolyPRO™3, PermaPRO™, and SkyShield™. PolyPRO™3 covers provide triple-layer, all-season protection and come with a 3-year warranty. PermaPRO™ covers offer maximum protection year round, in all weather conditions and come with a lifetime warranty. SkyShield™ covers are made from Dupont Tyvek, delivering the highest possible resistance to intense sun and heavy rain or snow, and come with a 4-year warranty. 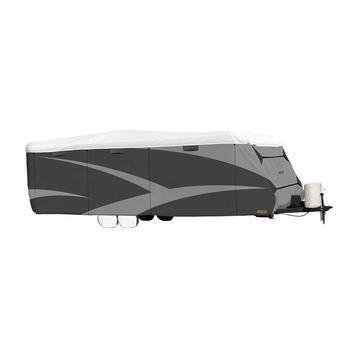 Whatever your budget, we stock quality RV cover options for your needs. 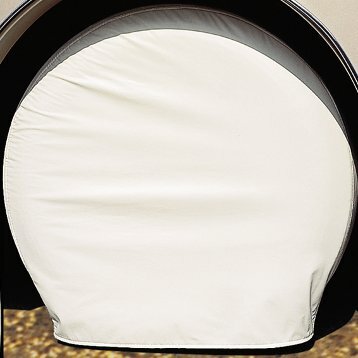 Whether you need a cover to keep the dust off your RV during indoor storage, or whether you need a heavy-duty water-resistant RV cover that can shield your motorhome from all that nature will throw at it. Our covers will protect your investment. As a small company of devoted RVers ourselves, we only sell those products that we use and recommend personally. We offer a guarantee on all our products to ensure that you have confidence in your purchase. Check out our Google reviews to learn what customers have to say about us. 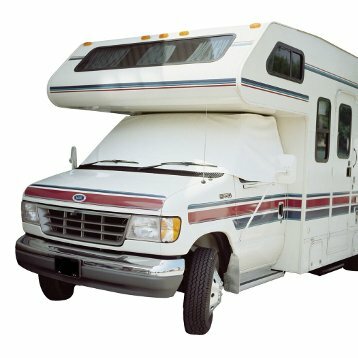 We’ve been in the RV cover business for over 10 years, and we know covers. If you have questions about how to measure your RV to ensure a perfect fit, what cover fabrics are best for where your RV will be stored, or any other questions about how to protect your RV, feel free to get in touch. We’re happy to help. Great product and excellent delivery time. 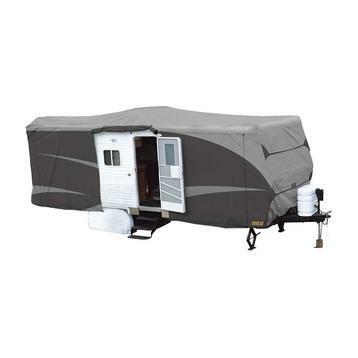 I use this cover for our RV in the harsh hot climate in Southern California desert and have recently ordered another one for our RV in northern Alberta winter storage..
We were very impressed with the quality of our RV cover. It fit like a glove and my husband who doesn't impress easily was surprised on how nice the cover was and wanted me to send a thanks right away to your company. Worked out great!! Your service was great. I made an order error and called your service. They corrected it immediately. I received my cover just a few days later. The cover is as advertised. Thank you. ADCO White Single Tyre Gard, Size 30" - 32"
ADCO Black Double Tyre Gard, Size 30" - 32"
ADCO White Double Tyre Gard, Size 27" - 29"